Cyprus is well known for its historical art, some featured in the Heritage Sites of the Painted Churches of Troodos and across the island. Mythology tells us that Aphrodite, the goddess of beauty was born in Cyprus and in honour of this privilege, Cyprus has produced aesthetic art throughout history. Today, Cyprus has emerged as a noteworthy contemporary art scene which is it can be proud of. There are many talented artists, too many to mention by name. 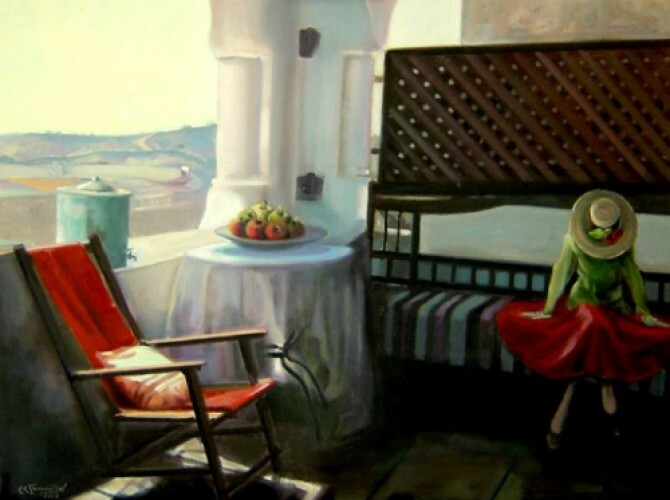 Below is a selection of some of the best known artists in Cyprus and examples of their work. Many of the artwork can be seen in museums and galleries in the big cities on the island and abroad.